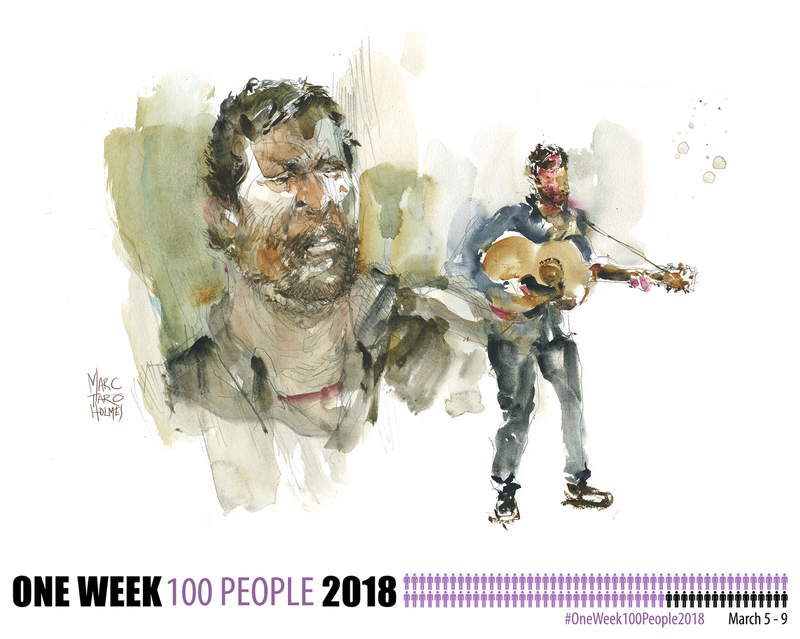 #OneWeek100People: Day Two: Direct Water People! 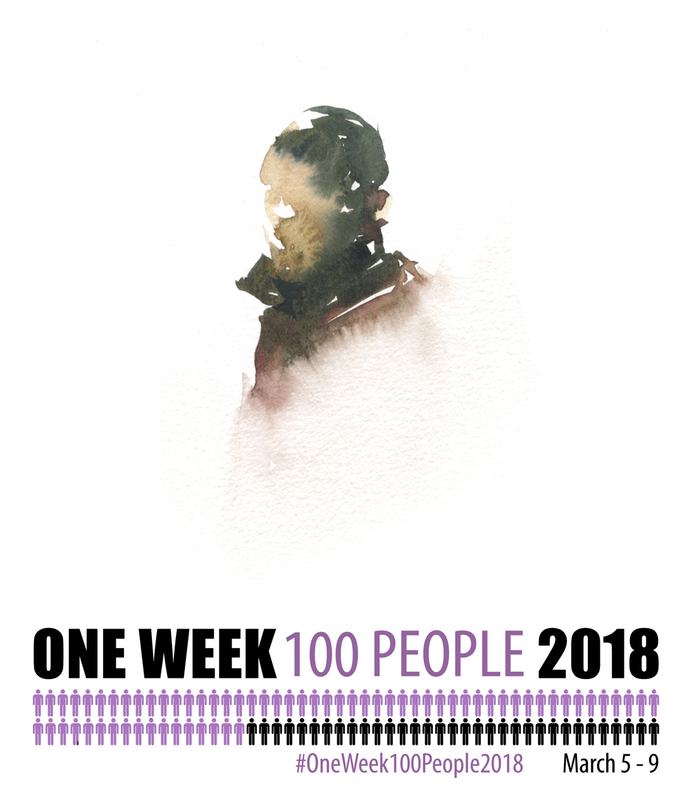 Here’s my day two of #OneWeek100People2018 – and this is my favorite sketch so far. I hope you can see the method to my madness. All the black and white silhouettes yesterday, were meant to warm me up for colored silhouettes today. I started a few with a continuous line doodle in pencil underneath, but I quickly realized, (for the hundredth time) you don’t need the guideline. If I can do it in ink, I can do it in color! So I took the plunge and went right in with the brush! 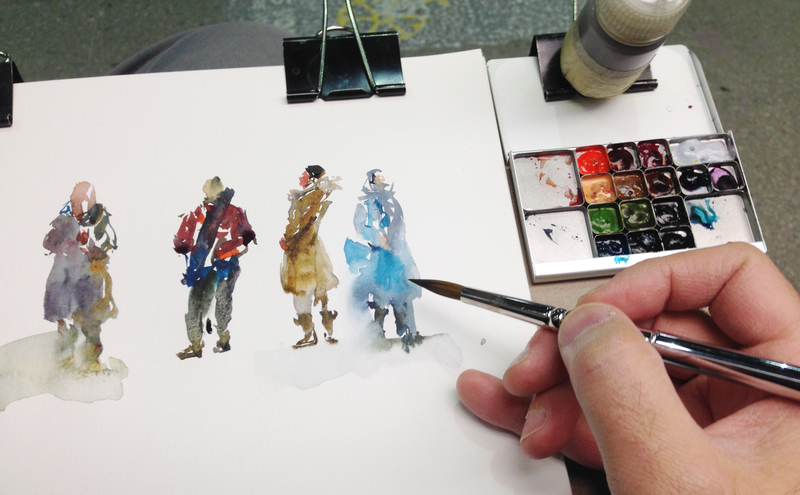 This is a great exercise on the very basics of Direct Watercolor painting. An easy way to get the feel for placing bits of color NEXT to each other. So one stroke fuses into the next, but the color doesn’t get muddy. Remember – don’t manually blend or scrub any color, or even go back into the wet area. Just place color NEXT to color, and they will stitch together on their own. As well – just like in an ink drawing – the tiny gaps you leave intentionally, become part of the drawing. Making the ‘broken silhouette’ slightly more understandable as a figure. By the way, I’m still using my new ultra-mini square pans + business-card-palette from ExpeditionaryArt.com. It’s just the thing for sketching on the go. It’s so lightweight. Make it much easier to hold a drawing board in your off-hand all day. The older I get the more I care about that sort of thing. Considering I was oot-and-aboot, I took in a show – sketching Toronto based Dave Allen at L’escalier. (Have a listen to his song: “When the Demons Come“). This one, once again, has a pencil drawing underneath. When I get concerned about getting a likeness, I tend to fall back on that sketch. But I’m trying to keep it as Direct Watercolor as possible :) You have to decide how much you want a drawing as a safety net. It’s a little less stressful with a doodle underneath, but I always regret it a bit. Kind of like eating mac and cheese. You want it, you like it, but you regret it. <The comfort-food zone. 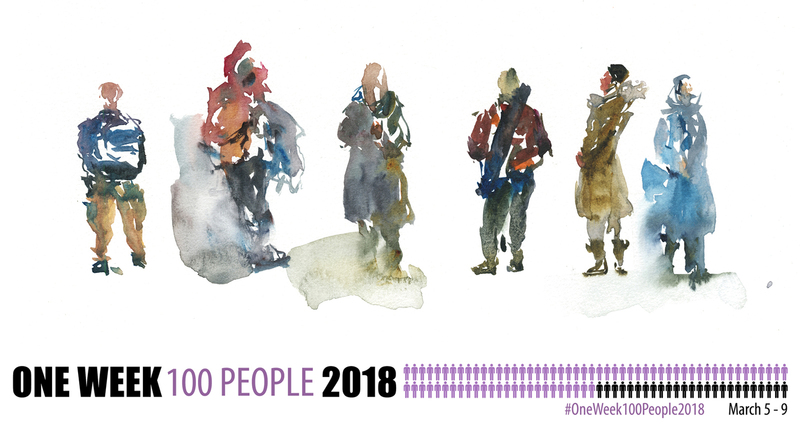 ← #OneWeek100People2018: Day One: Metro Sketching! 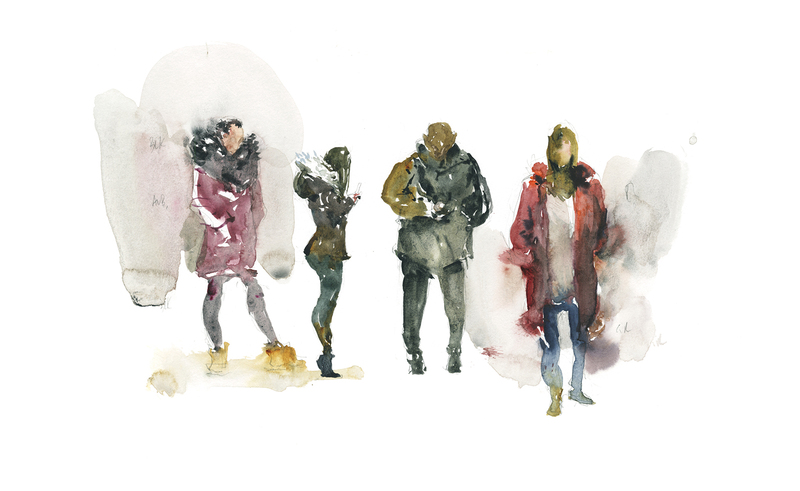 Some of these are incredible: the girl in profile who is looking at her phone, and has a hood with white fur trim . . . WOW! And the heavy set man next to her. . . And more. . . Just wow. So amazing! 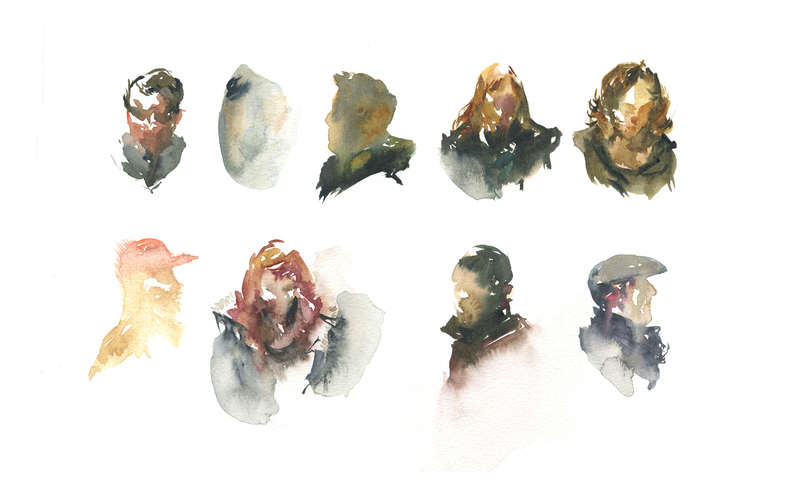 I’ve tried a couple of times of direct watercolor, but oh dear.. I just get a muddy blob. Do you ever use brush pens? Love watching you create Mark. I bought your new book, love it! Hey! Thanks Nancy! You made a few of the sketches in there possible! Wishing you were my bff and lived next door to each other. Your inspiration is, well…inspiring! I love the mac-n-cheese reference! LOL These are great…with all the detail that is needed. I could say “goodness me”, but being Aussie, it’s “bluddy hell Marc” – you keep raising the bar a notch higher. 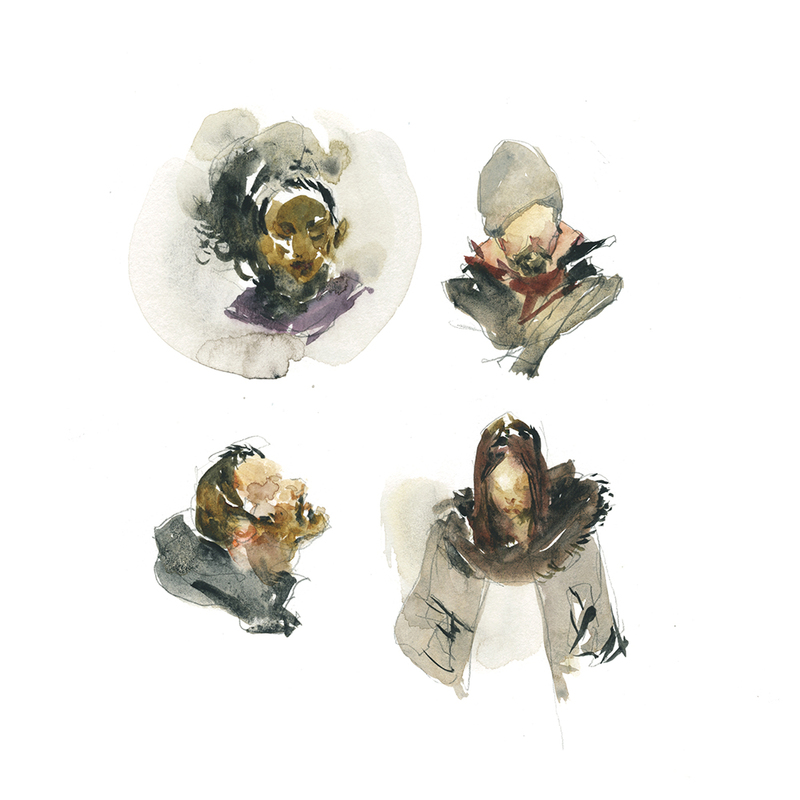 Absolutely lovely evocative sketches.